Nearly 25 years ago, Emmanuel chopped off Alice's hand. His colleagues split her baby daughter in half. Alice thought she would die. The brutality that drove the Rwandan genocide was in full effect, and these acquaintances turned into bitter enemies. But the Lord gave the two a gift: the miracle of reconciliation. Everything about Alice is vibrant: Her dress, her voice, her songs, her passion for the Lord. As she spoke to a team of journalists traveling with World Vision, she gestured to the somber man beside her, telling how God prepared her heart to forgive him even before he was released from prison. "There is no longer blood on his hands because we all forgave him and live together in peace." Emmanuel was a Hutu, the majority people in Rwanda as declared by colonialists. Alice was a Tutsi, the minority people colonialists ranked as a higher class. In the late 1980s and early 90s, government-backed militia forces including the Interahamwe and Impuzamugambi began to build a resistance forced based on propaganda. Newspapers ran cartoons, calling Hutu to rise up before the Tutsi murdered them. Then, in 1994, a plane carrying the presidents of both Rwanda and Burundi was shot down. The genocide began. For three months, Hutus attacked, using everything from machetes to crude weapons formed out of gardening tools and nails. Neighbor turned against neighbor. Friends became enemies. Alice lost her father in a precursor to the genocide in 1991. Her mother and siblings were burned to death while seeking refuge in a church in Nyamata. When Emmanuel and his cohorts attacked, she thought was dead. With her baby girl murdered right in front of her face, Alice says everything was black. She lost her hand that day. A spear sliced through her shoulder and a club with nails punctured the left side of her skull. "You can't think," Alice recalls. "You don't know who is doing what." Her left side was paralyzed. The Hutu took her for dead. Alice says dogs ate the human flesh rotting around her. The Lord prompted her heart to forgive all the Hutus, including her perpetrators. "If I don't forgive as God forgave me, I can't inherit the kingdom of God," Alice says. Alice says the Lord blessed her with five more to take away the pain. Alice connected with World Vision in 1997. They gave her and other survivors food, blankets and pots. In 2007, the charity also sponsored two of her children. "They helped us learn to forgive," Alice says. "I still remember even though it's been a long time. They helped our spirits and souls, not just our bodies, but the insides." In 2003, through a unification organization called Ukuri Kugarize, Alice came face to face with Emmanuel once more. Emmanuel had been in prison since 1997 and was released under a deal through the Gacaca, or genocide, court that would allow him to do community service to commute his sentence. When Emmanuel came face to face with Alice, he felt the Holy Spirit prompt him to ask forgiveness. "He came to me in a memorable way," Alice says. "He got down on one knee, sweating, nervous. He asked forgiveness sincerely." Emmanuel confessed that he chopped off her arm, and his colleagues split her daughter in two. Alice was so shocked, she fainted. She says her husband wrestled with forgiveness because they were now among people who murdered their child. "That week, we forgave him because God was with us," Alice says. "Our Christian faith helped us through the process." Just before she was reunited with Emmanuel, she asked the Lord to reveal to her who had attacked her so she could forgive. "I was shocked to find out it was him," Alice says. And others came to her as well. She introduced the World Vision team to another man named Baroshiman, who is Emmanuel's neighbor and another member of the reconciliation society. During the genocide, he also targeted Tutsi but has since refocused on the Lord. "Mon ami," Baroshiman says as he hugs Alice and hands her corn. "This is my friend." Emmanuel also asked four other families to forgive him. Now, he and Alice live as friends. He planted a lemon tree on her property to show future generations that reconciliation bears fruit. "There is no Hutu or Tutsi here," Alice says. "We are all united. Above all of it, there is God. If you don't believe on God or know God, it would be difficult to ask forgiveness. Today, I was not supposed to be alive, but God kept me alive to tell my story." 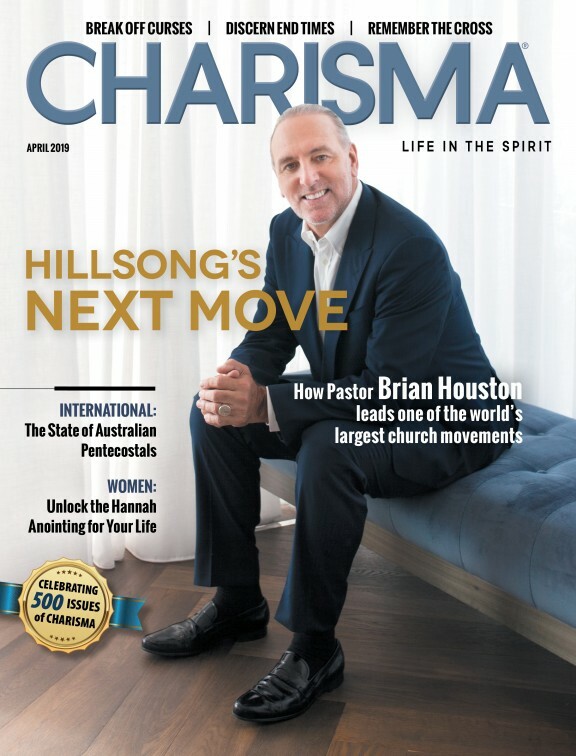 Check back with Charisma News as we continue to report what's happening on the ground in Rwanda with World Vision.